The Iron Gate Inn B&B Cedar City, Hotel null. Limited Time Offer! The 1897 Iron Gate Inn Bed and Breakfast. "The 1897 Iron Gate Inn Bed and Breakfast" has received 3 stars. This hotel is perfect for discovering Cedar City. This accommodation boasts 8 rooms. Guests are offered many activities, like birdwatching, hunting, fishing and helicopter/airplane tours. There are also many sporting activities available, such as snowshoeing, horse riding, alpine skiing, golf, cross-country skiing and tennis. The sports facilities include a walking trail as well as a bike rental service. After a good night's sleep, breakfast is available, which is included in the room's rate. Staying connected with the rest of the world is made possible with free of charge Internet access. 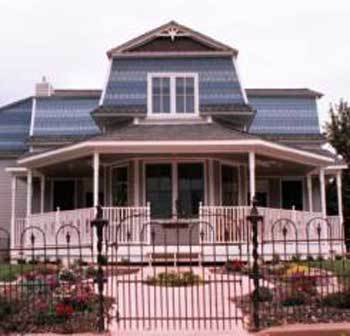 &lt;b&gt;Location.&lt;/b&gt; A Garden Cottage B&amp;B is located in Cedar City, Utah just one mile from Dixie National Forest. Golfers can tee up at the Cedar Ridge Golf Course just a half-mile away. From: Interstate 15. Take the first exit north or south of Cedar City town center. The Best Western El Rey Inn & Suites is located 1/2 block south of Utah State Highway 14.